This easy Flower Pot Wreath is a great craft project to create a simple transitional wreath for the late summer to early fall seasons. 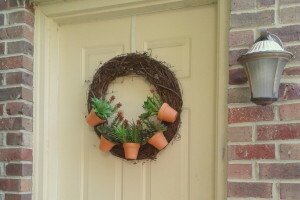 The small flower pots add some dimension to the wreath and instead of traditional flowers I will be using artificial cactus. 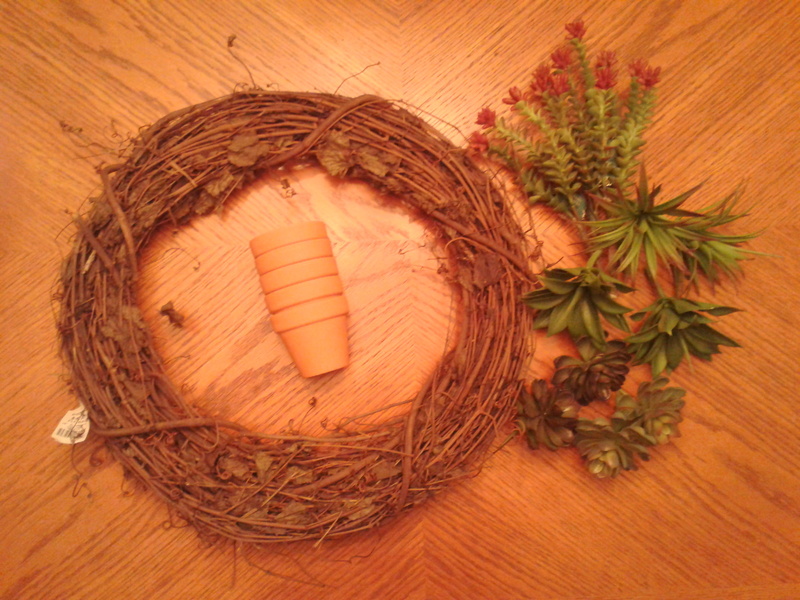 Below are the supplies and instructions needed to make this unusual Flower Pot Wreath. Cut an 8” length of wire for each pot. Lace through the bottom hole and attach each pot to the wreath in the pre-determined positions. 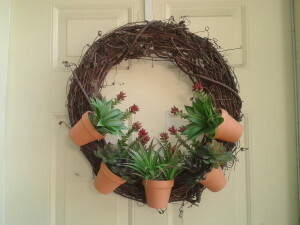 Hot glue the cactus plants into the pots, alternate the variety from pot to pot for an appealing arrangement. Be sure to reserve a few of the cactus for later use. 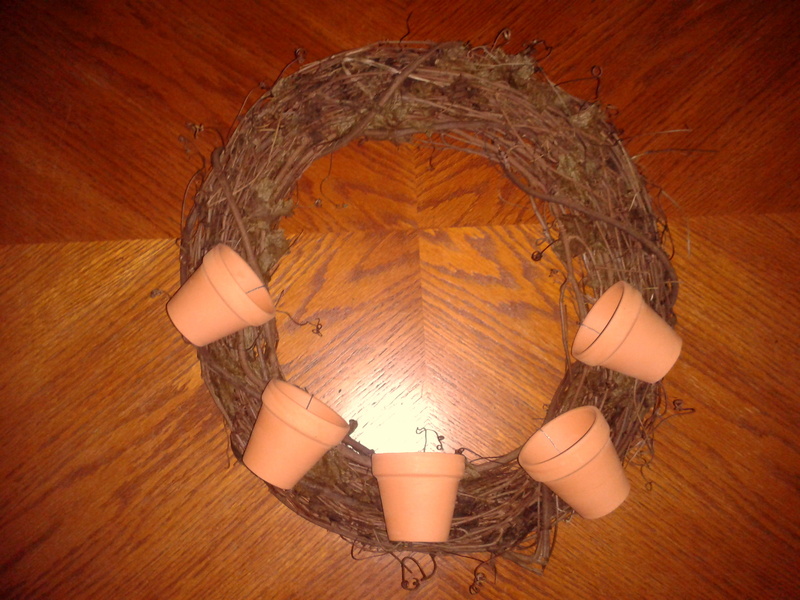 This Flower Pot Wreath craft idea can be used in a variety of different ways for any season, maybe use daffodils for Spring or sunflowers for Fall. 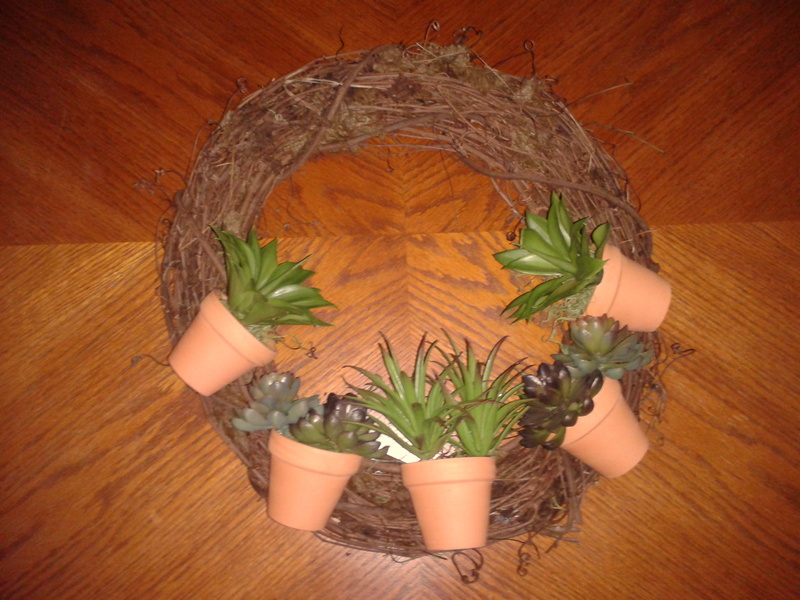 This entry was posted in Craft and tagged Barbara Jones, Craft, Enchanted Manor, Flower Pot Wreath, Flower Pot Wreath instrucations, Flower Pot Wreath supplies, The Enchanted Manor, Using cactus plants in a wreath, Using terracotta pots in a wreath by barbara. Bookmark the permalink.